On Windows 10 System, you pair a Bluetooth wireless speaker (say SoundBot SB571) successfully. In System Settings console: That didn’t work. Try again, and make sure your mouse is still discoverable. You were able to connect to the same Bluetooth speaker in the past from the same Windows 10 System. 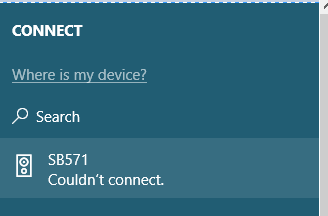 You’ll also able to connect the Bluetooth speaker using other Windows 10 system or Mobile devices and it still works just fine. It only that your Windows 10 system keeps on failing to connect to the speaker. The same speaker works on the same Windows 10 system through Line-In Audio Jack / AUX cable. 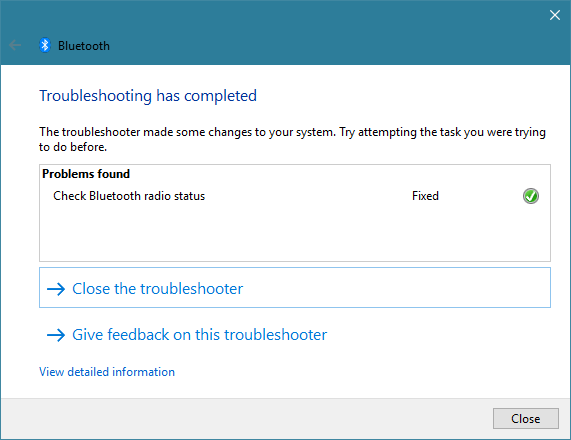 You reboot both your Windows 10 system as well as the Bluetooth speaker multiple times but still it doesn’t work. From the basic troubleshooting both speaker and Windows 10 laptop works fine with other devices, its just that this pair fails to work. You don’t see any audio related events/errors in the Windows logs. You check the Antivirus (Symantec Endpoint Protection) logs and doesn’t find any blockings reported there either. You ensure that all the Bluetooth services are set to “Automatic” in startup type as well as are all running up. Restarting all the Bluetooth services as well turns helpless. You remove/un-pair and pair the Bluetooth device but still it doesn’t work. 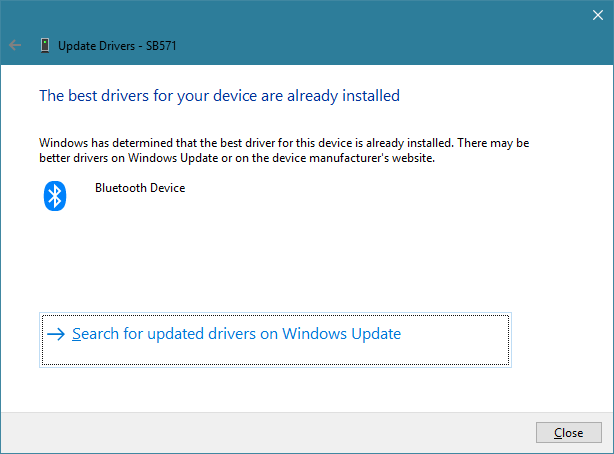 You choose to Update the device driver automatically through Windows Updates feature but it reports you are running the best/latest driver version. You uninstall and re-installs the devices from Device Manager console but still it doesn’t work. 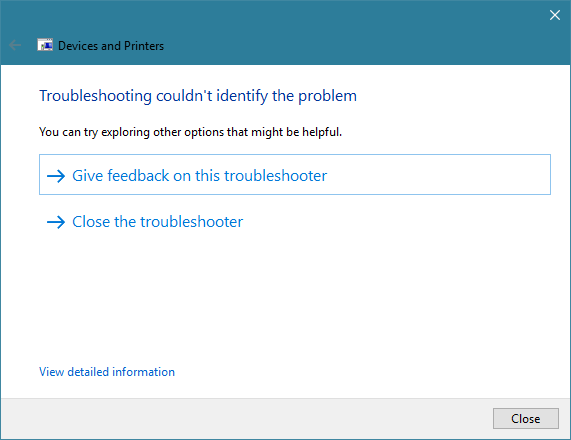 Running Troubleshooting tool (Control Panel\Hardware and Sound\Devices and Printers > Select your device and click Troubleshoot) doesn’t detect any problems. 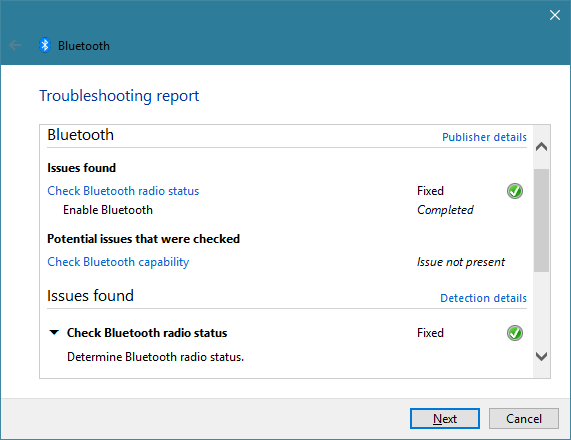 Running Bluetooth Troubleshooter, reports that it has fixed the Bluetooth radio status. But still it doesn’t connect to the Bluetooth speakers. I lost on the ideas on what to check further, leaving it to get auto resolved in next Windows updates install . I would keep this post updated, in case, if I come across any practical and consistent solution. Exaclty the same thing is happening to me. I had the same troubleshooting steps as you had. I have no clue why this isn’t working.